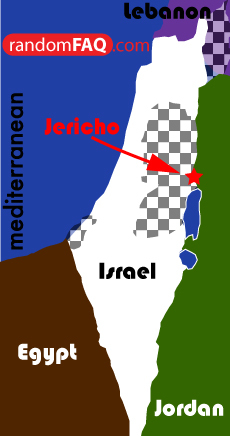 Jericho is located in what is now called the Jordan River Valley. People lived in caves and then eventually moved on to square enclosures. Probably the first of its kind, the inhabitants of Jericho were a people with knowledge of cultivation and the domestication of animals, such as sheep (ancientneareast.tripod.com). The city now lies over 800 feet below sea level. Also, Jericho is said to be the first walled city.